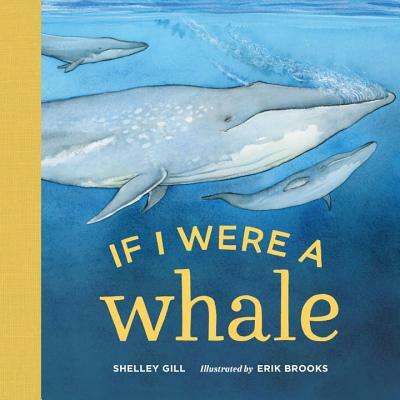 From best-selling children’s author Shelley Gill comes this colorful, rhyming board book playfully featuring whales found in the Pacific, Atlantic, and Arctic Oceans. Toddlers will love to learn about whales swimming in the deep blue sea in this beautifully illustrated board book that shares simple whale facts in an imaginative way. If I could be anything, do you know what I’d be? I’d be a whale in the deep blue sea. Scooping up fishes and flipping my tail, I’d be a minke or beluga whale. SHELLEY GILL was the fifth woman to complete the Iditarod race. When she’s not writing, Shelley travels to schools around the country where she covers a variety of topics--from whale watching to how she thinks up her writing ideas. ERIK BROOKS spent much of his childhood in Anchorage, AK, where he explored the outdoors and had Alaskan experiences such as seeing the occasional moose wandering through the yard and getting run over by a dog sled. He still loves getting out into nature with his family and his handsome mutt of a dog, Max. "Sure to make a splash with young nature lovers." "Rhyming text introduces youngsters to a smattering of whales." "Full of color, rhyming, and fish fun… offers a simple introduction on whale facts." "If I Were a Whale takes readers on an imaginative journey through the world’s oceans discovering what it’s like to be one of these fascinating swimmers." " The illustrations are vivid and very eye catching… This book is the perfect length for a bedtime story." "Darling… such a cute story." "The perfect mix of rhyming poetry and scientific facts." "Toddlers will love to learn about whales swimming in the deep blue sea in this beautifully illustrated board book that shares simple whale facts in an imaginative way." "A great introduction to some of the most fascinating mammals on the planet and it’s one that adults are bound to enjoy as much as children." "If you have a little one who loves marine animals, or are simply looking for a fun board book that is written in a rhyming scheme and will keep your little one’s attention, why not consider picking up If I Were a Whale by Shelley Gill today?"